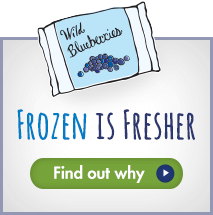 Our "Wild Your Smoothie" recipe contest unleashed a current of smoothie-making creativity using our favorite ingredient, frozen Wild Blueberries. Put a healthy spin on your traditional holiday menu with these recipes from the Wild Blueberry Association of North America . Cranberry & Almond Oatmeal with Wild Blueberries - the perfect cold-morning treat! Join Evergreen Brick Works at the first Wild Winter Wonderland on January 21 & 22 for food, family and fun. Enjoy this holiday indulgence with your whole family. Bring out the wild side of your traditional holiday menu with recipes from the Wild Blueberry Association of North America.